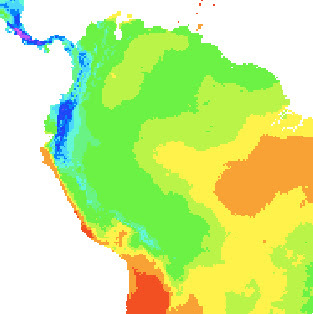 This is a small sample of a species diversity map that’s an end product of our models. This was created by overlaying 88,000+ shapefiles and represents the number of species potentially present in each cell. Red is low, dark blue and purple are high (over 8,000 species per cell).